Roasted broccolini with minced garlic lightly seasoned with salt and pepper. 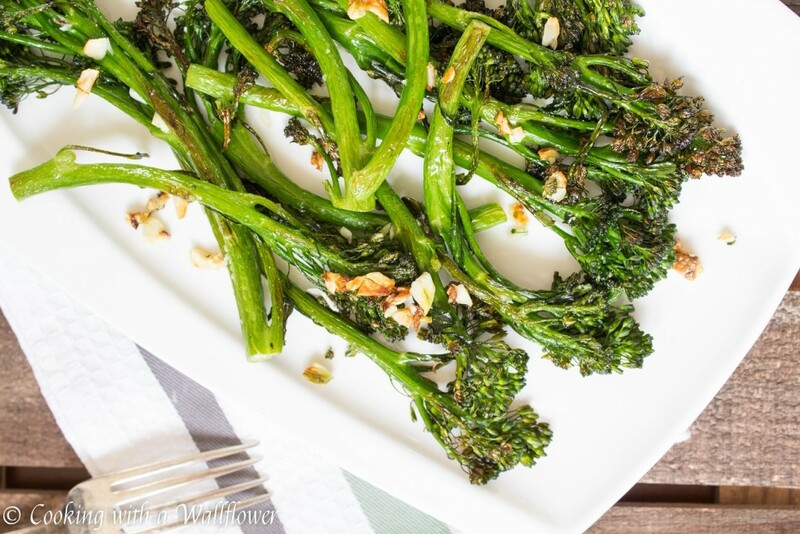 Simple to make, this roasted garlic broccolini is the perfect side for your main dish. 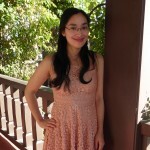 A few months ago, after I attended a friend’s wedding in Sonoma County, some of my friends and I headed to Farmstead in St Helena for dinner. Every dish that I tried, I really ended up enjoying and over the past few months, I’ve tried to replicate some of those dishes at home. Like these Cheddar Biscuits with Honey Butter or this Extra Crispy Roasted Potatoes with Sriracha Mayo and this Farmstead inspired Creamy Gnocchi with Seasonal Vegetables. Because as much as I love Farmstead, driving at least an hour from SF is a little too far for dinner. Another one of my favorite dishes was this side of roasted broccolini. I know that it’s super simple, but sometimes, simplicity is what makes a dish so great. You can appreciate the flavor and the texture without all extra seasoning and sauces. 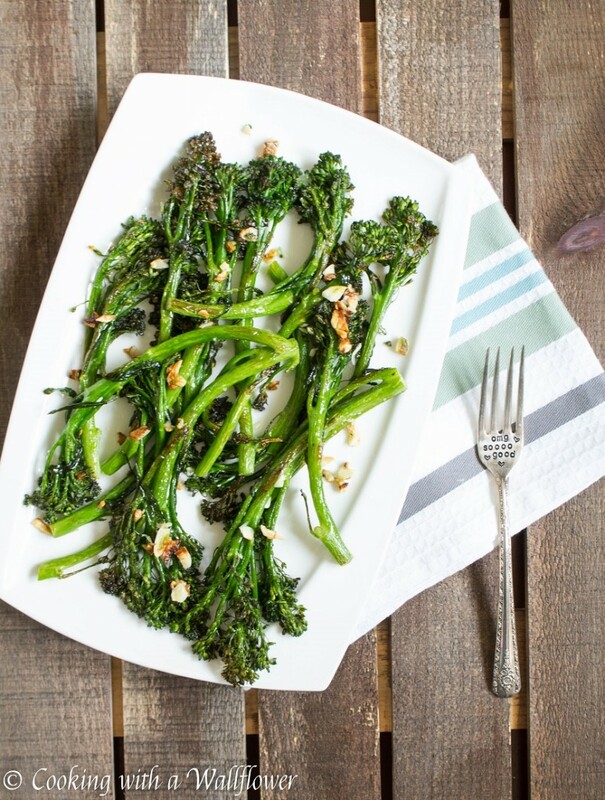 This broccolini is roasted for about 12-14 minutes with minced garlic and lightly seasoned with salt and pepper. Just a few ingredients, but that’s really all you need. Preheat the oven to 400F. Line a baking sheet with foil and lightly grease the surface with nonstick cooking spray or olive oil. Set the baking sheet aside for now. Wash the broccolini and pat them dry. Place the broccolini in a large bowl. Add minced garlic, then drizzle with olive oil, and lightly season with salt. 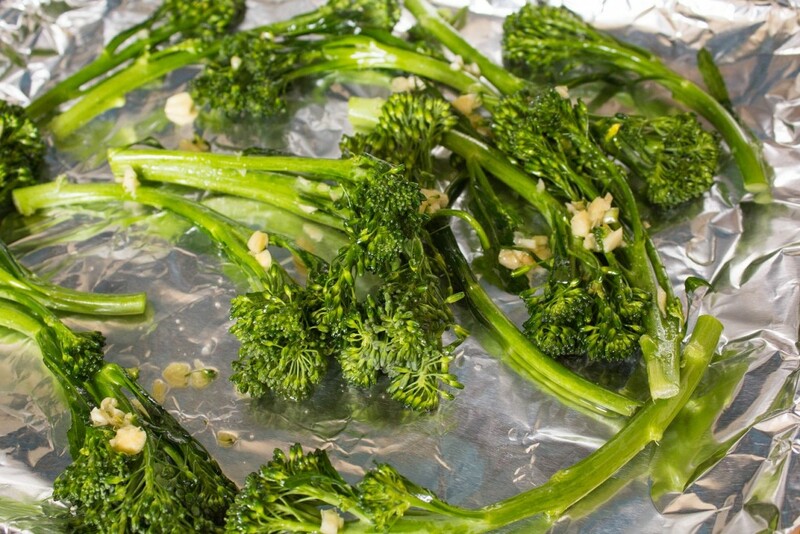 Gently toss the broccolini until each stalk is lightly coated with the olive oil and garlic. Spread the broccolini on the baking sheet in a single layer. This way the broccolini can cook evenly. You might find that the minced garlic has fallen to the bottom of the bowl. Just distribute them over the broccolini. Roast the broccolini for about 5-6 minutes until the side down is slightly charred. 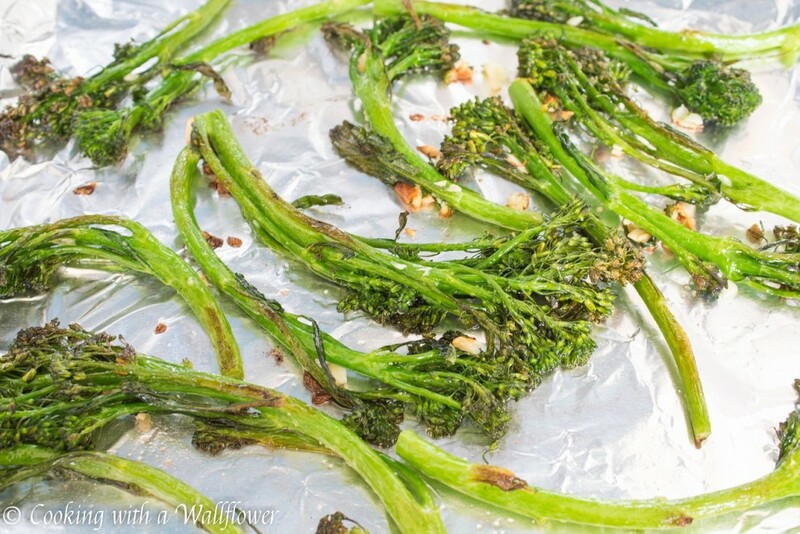 Turn the broccolini to the other side and roast for an additional 5-6 minutes. Once the broccolini is slightly charred and tender, remove them from the oven. 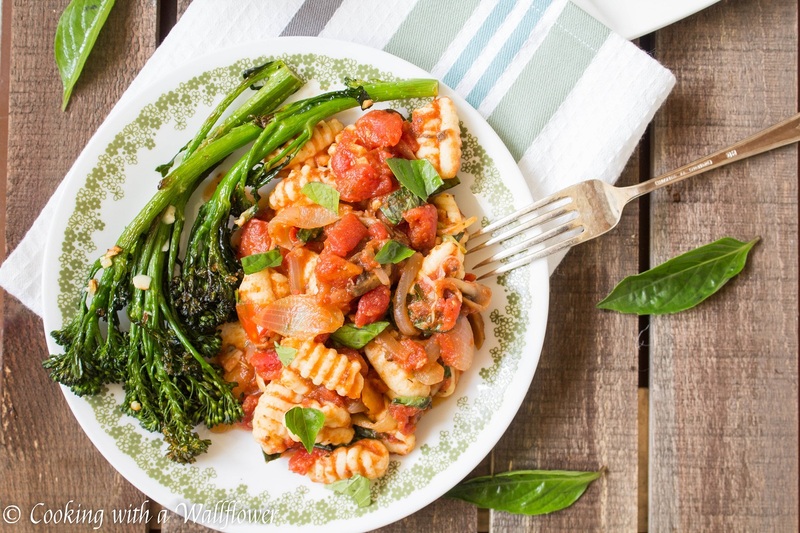 Allow the broccolini to cool and then serve as a side with your favorite main course. Preheat the oven to 400F. Line a baking sheet with aluminum foil and lightly grease the surface with nonstick cooking spray or olive oil. 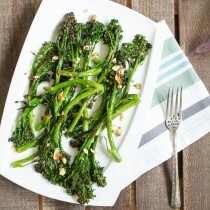 Place the broccolini in a large bowl, add minced garlic, and drizzle olive oil over the broccolini. 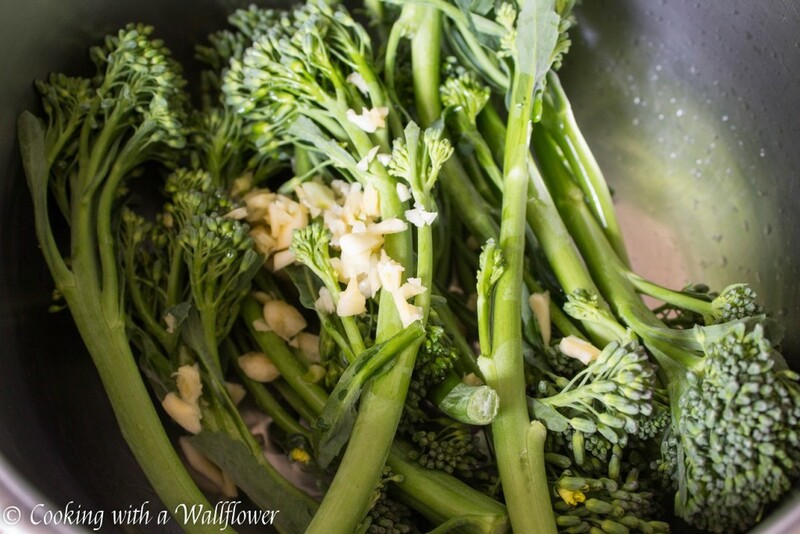 Toss the broccolini until the stalks are lightly coated with olive oil. Sprinkle salt on top. Spread the broccolini in a single layer on the baking sheet. Scrape the minced garlic from the bottom of the bowl and place them over the broccolini. Roast the broccolini for about 5-6 minutes until the side down is slightly charred and browned. Turn the broccolini over and roast for an additional 5-6 minutes. Remove the baking sheet from the oven and allow the broccolini to cool for a few minutes before serving with your favorite main dish. This entry was posted in Fall Cravings, Farmer's Market, Gluten Free, Healthy, Quick and Easy, Recipes, Sides, Spring Cravings, Summer Cravings, Vegan, Vegetarian and tagged farmer's market, farmstead, gluten free, quick and easy, side, vegan, vegetarian. Looks so good! I could almost taste it looking at the beautiful photos! I love roasted vegetables, wonderful!